Yes, you’ve landed on the right platform, if you are thinking to try your hand on Affiliate Marketing to maximize your earnings. 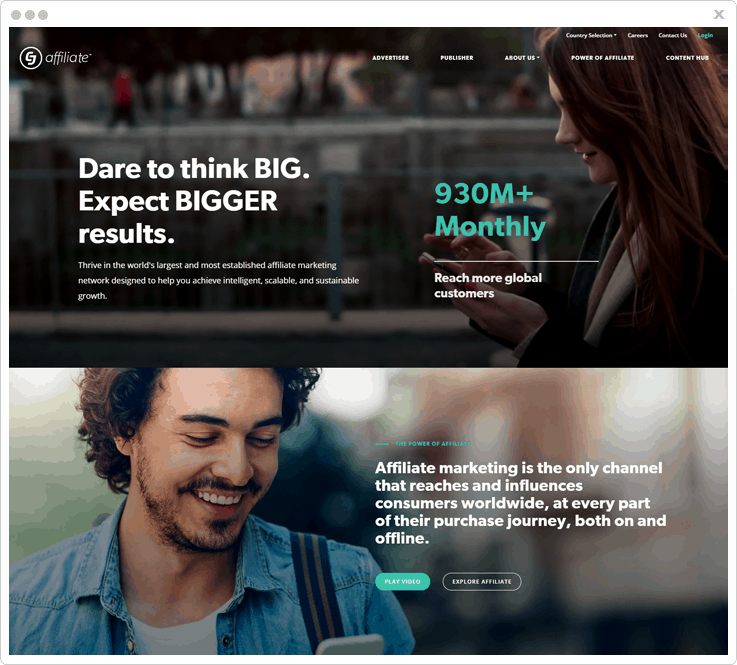 So, just relax, close all other blogs tab, and scroll down for A-Z of the top affiliate marketing platforms and networks of 2019. How about we understand affiliate marketing with an example? Suppose, if you a person X has 3 products and you are promoting these products through your website. Now, for every purchase, X will give you 30% on every sale. With affiliate marketing, any individual can earn a noticeable amount of money even when they sleep and that’s just true. Now, what’s affiliate marketing software? An affiliate marketing system performs different roles for a different person. For a merchant, this system will provide access to create products, create banners, create an advertisement, set up the commissions and the payout methods and a lot more. Now, for a promoter, it provides access to a dedicated dashboard from where the promoter can track the complete record of the clicks, sales, commissions, the status of payment and more. Here, after long hours of research, we have shortlisted the best affiliate marketing software and networks especially for you. All our selected software are in the affiliate marketing segment for a long time and have won the trust of millions of users without any negative feedback. So, let’s start with the top 5+ affiliate marketing software which we have chosen for you. We have researched for affiliate products at a massive scale and found Pabbly Subscriptions as the best fit for the top position in our list. As this software has all features to create an easy to manage yet powerful system to tackle all the technicalities of the affiliate system. Also, the Best part of Pabbly is that you can get an affiliate system as well as subscription management software along with it. It comes with a separate dashboard for both the merchant and the clients or promoters. In the merchant dashboard, a person can add up products, create banners and discounts, set up payment method and the minimum amount and days for payment. Also, it has an interesting feature of commission rules which you can apply particularly for any product on any price plan. Through this dashboard, the merchant can set the target URL for various products. Now, in the clients portal, there is a complete dashboard dedicated for tracking of the number of clicks, sales, payments and more. Also, the client can get the real-time status of payment and sales if any. 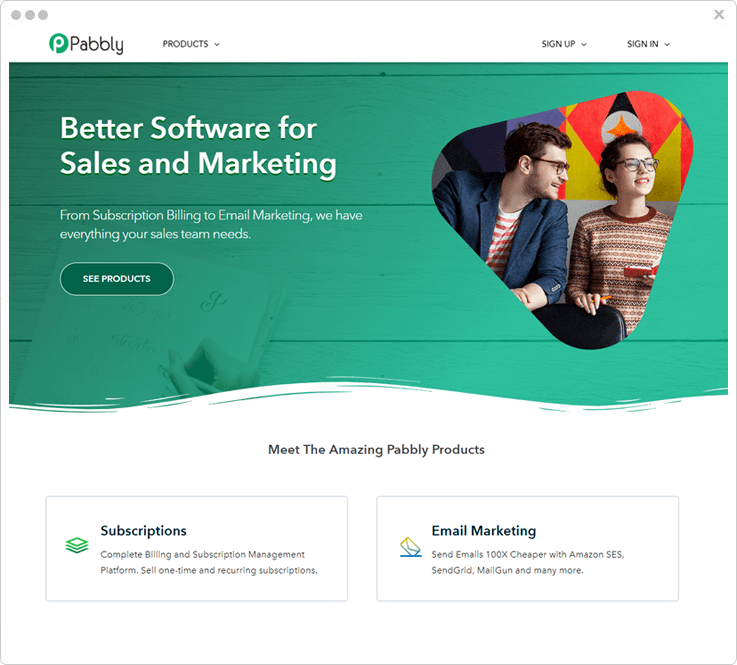 For now, any merchant can get Pabbly Affiliate software on Pabbly Subscriptions platform, but soon you will also get a separate Pabbly Affiliate platform. Also, through this dashboard, you get unique affiliate URL for every product which you may want to promote. URL Validation Period: Here, the merchant can set the cookie period. So, if anyone just visits the website by the affiliate link but not make a purchase in run time but make the purchase after a while then also you can track the affiliate and can provide the commission accordingly. The merchant can set this time in the general setting on the dashboard. Affiliate Payout Settings: This software supports the PayPal payment gateway. Also, you can define the date on which the promoters get the commission. Also, the merchant can decide the minimum commission amount and can set the delay payout days. Commission Rules: Here, you can set the multiple rules for the commission in the dashboard. As a merchant you can create the rules for the all the products or any specific product, can select the all the affiliates or a particular one, for all the price plans or any specific plan. Also, you can set commission rate type like flat and per cent and set the recurring payment type. 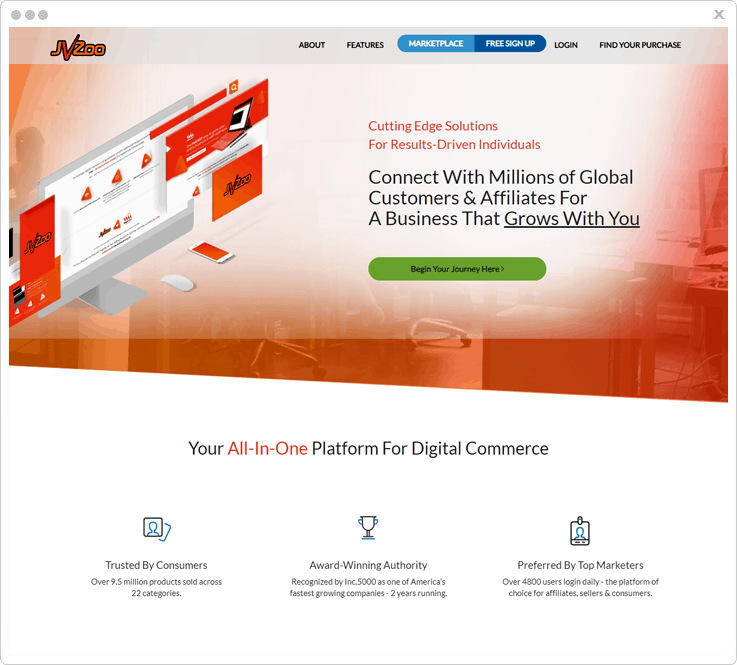 Affiliate Target URL: In this SaaS software, the merchant can easily set the target page on which he may want to redirect the visitors. Create Products And Customer: In this affiliate system, you can add multiple products and customers manually through the dashboard. Also, can set the access for the client portal and want to create an affiliate. Basic Plan: You will get this plan in only $5 per month with this you can be added 50 customers, supports 25 currency etc. Rookie Plan: Buy this plan in $29 per month which include adding 1000 customers and unlimited products etc. Pro Plan: Get this plan in $59/month which include adding unlimited customers, dunning management, custom domain and many more. 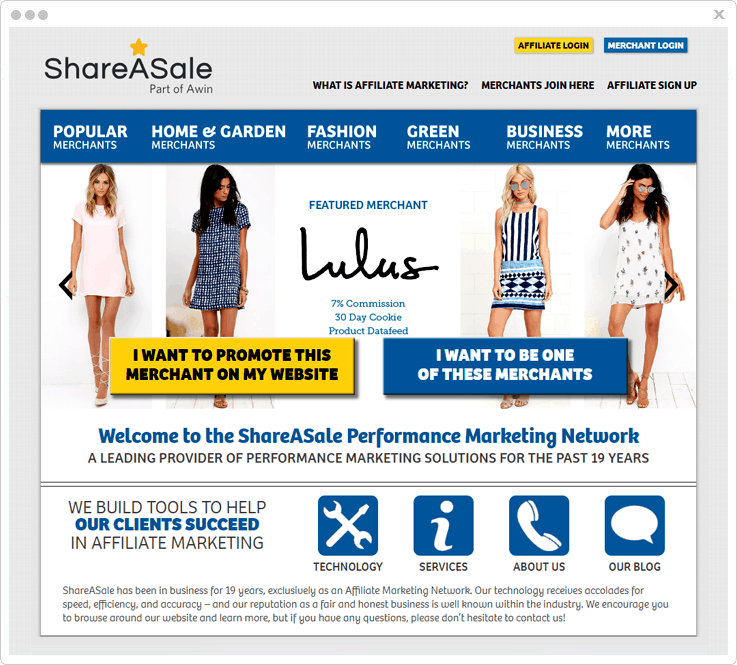 ShareASale is complete SaaS software for creating an efficient and powerful affiliate system. This network is dedicatedly working from 19 years in the affiliate marketing field. This software comes with features great like seller or merchant can create coupons/deals for the customers, create promotional videos and many more. Deep-Linking Tool: ShareASale gives you the feature of creating the affiliate program for any particular e-commerce product of your choice with the Deep Linking tool. Merchant API: Here, you can add the multiple merchants on your affiliate dashboard with the API keys. Custom URL Shortener: Affiliate links are always too long and look very uneven. So, in this affiliate system, admin can easily customize the URL of their own choice. This URL works the same as the previously affiliate link. Numbers Of Affiliate Programs: As we already told ShareASale works for has been working in affiliate marketing segment for a really long time now. So, the merchants who trust on ShareASale that’s why they provide 3900+ merchants to the promoters. These are some top merchant on our platform- AppPresser, OptinMonster, UpThemes, CyberChimps and many more. Now, our third product is Avangate which also comes with all great features for creating the powerful Affiliate System. Avangate provides real-time analysis system, so you can track all affiliate transactions and can grow your business and provide a good passive income to the affiliates. Also, in this software, admin can set the access to their users and hide some settings and data from the user. Managed Clicks & Conversions: Here, as a merchant can track and manage all the click rate of your product with the ease. In the dashboard, you can check the number of clicks details about the click location and IP etc. Protect Website: This software allows you to analyse all the data and ban specific IPs and locations from browsing your website in real time. Also, it gives notifications of all data traffic. So, you can control the website traffic with the help of this feature. Popular Merchants: In this system, a promoter can get multiple numbers of popular merchants to promote good and trustworthy product and get a commission at a higher rate. Some of the popular merchants are Bitdefender Total Security, Awario, Movavi Video Editor Plus and many more. 2Checkout Payment Gateway: In every affiliate system, payment and transfer are done multiple times that’s why it has to be secured and faster. So, Avangate is integrated with advance and secured 2checkout payment gateway. CJ Affiliate is another dynamic and impressive software in our list, CJ Affiliate network has been working for more than 20 years in this market, and their ideology combines the advisers and publisher works. So, this will create a managing system which expands the advertiser audience and publisher can monetize their sales and other things. Also, this software provides a free sign up process. Network Stats: In the dashboard of CJ Affiliate, admin or merchant can track the multiple 3 days EPC status and weekly EPC status, and new announcements also show the pending tasks and many more. Advertiser Affiliation: Here, the promoter can promote multiple advertise on your website and earn an affiliate commission. You can search advertise of your choice with different options like deep linking search, responsive advertise template and many more. Affiliation Reports: Here, both the merchant and the affiliate get complete reports in bar graphs and get complete figures for EPC, sales, gross revenue. JVZoo comes with many features and functionality to create a managed affiliate system. Also, you can integrate it with Different JVZoo tools like JVZoo, Zapier, GetResponse, AWeber. Also, it supports multiple filters to search any particular affiliate link. Here, you can search by niche, keyword, top sellers etc. JVZoo Ad Manager: Here, you can manage your advertisement of products, also can create impressive Ad banners and promote it by a different publisher. Sales Funnels: In the dashboard of Affiliate JVZoo, you can track all sales with funnels. Funnels are plans which you can create for visitors on different pages, if someone is buying a product merchant can suggest them other related products, and redirect to another affiliate page. JVZoo Academy: This will provide complete guidance on Affiliate Market and how this JVZoo system works. Powerful Dashboard: JVZoo software has a powerful & clean dashboard. Here, both the merchant and affiliate can track multiple things like you can check the clicks rate, visitor volume and no. of sales and daily reports with gross revenue and daily profit. AvantLink is the last but not the least products in our list. This software has an own app market in which you can get many marketing products which you can access all at free of cost. Also, as a merchant, you can create custom tracking links, manage the data feeds in the dashboard and Avant API key integration and many more feature some of which we’ve discussed below in detail. 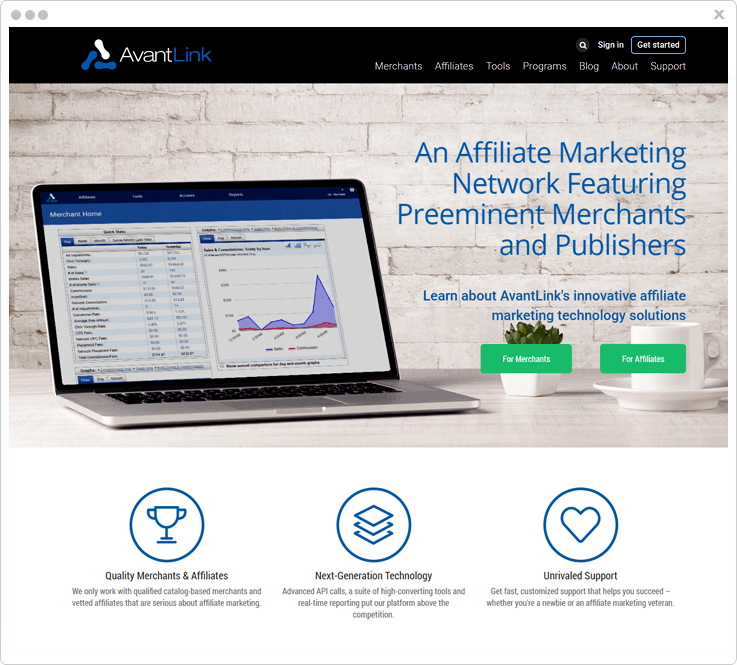 Robust Reporting: AvantLink is capable of generating automatic reports in real time, this system does not take hours like other affiliate product. So, admin can track details and take actions rapidly. Quick & Responsive Support: AvantLink gives you real-time support to their customers. So, if you ever stuck on any point they will always be ready to help you. AvantLink support is created for all old customer as well as the new one. Product Content Widget: Here, as merchants, you can create multiple products, and images and description for your product. Also, can automatic compare prices with other merchants, get suggestions for similar products and many more. So, we have reached the end of our blog on top 5+ affiliate marketing software and networks of 2019. You can trust all our words as we have done an in-depth research on each and every software by personally trying and testing and by going through hundreds of reviews on trusted communities. Now, don’t take any long and just pick your favourite software and start flourishing your business today! FormGet © 2019. All rights reserved.